Wholesale rose petals at Daisy Gifts Ltd, in a selection of colours and pack sizes. We are able to supply the following dried flowers in bulk to trade and non trade customers. If you are looking for larger quantities than those shown, please contact us for a good price. 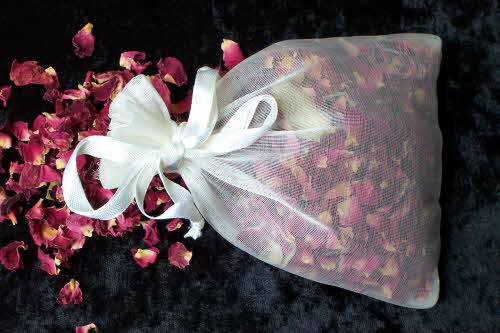 Small air dried burgundy rose petals wholesale, RRP £2.99 for 50g, up to about 1cm across. NEW lower prices! 5Kg £109.99 Larger pack sizes available. The above small air dried rose petals are also available in pale pink at a different price. 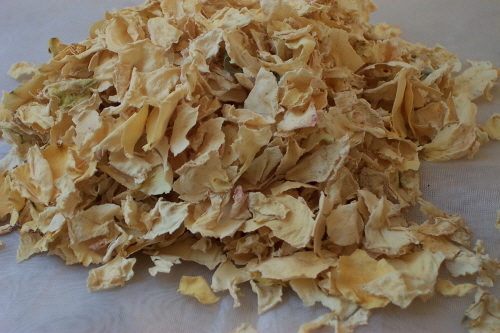 Medium sized ivory/cream air dried rose petals (approx 1-2cm), RRP £5.99 for 50g. NEW! Medium sized air dried red rose petals with a burgundy, ivory and yellow stripe (approx 1-2cm), RRP £5.99 for 50g. Medium sized air dried red rose petals (approx 1-2cm), RRP £5.99 for 50g. Large freeze dried rose petals (up to 5cm), mixed colours. May contain one or two torn or damaged petals. 1 litre is about 10 handfuls. Availability of this item may vary. Dried rose petals A selection of colours and pack sizes. Dried rose buds Red or pink available in a selection of weights. Loose dried lavender Highly fragrant, a range of pack sizes available. To buy our wholesale rose petals, just click on the Enter Shop link above to visit our online shop at www.daisyshop.co.uk where you can browse our range and pay securely. PLEASE NOTE We no longer have a separate wholesale list. We have merged our retail and wholesale lists with a price scale which gets significantly better the more you buy. So if you are a trade buyer, just look for the bulk packs (eg. mini lavender bags RRP 99p each, but £45 for 100 inc VAT). Back to top of rose petal wholesale page.